In case you somehow haven’t heard yet, the much anticipated eighth and final season of “Game of Thrones” premiers this Sunday on HBO. The television series based on George R.R. Martin’s books has made millions for HBO, drastically altered the fortunes of actors who’ve starred in it and launched the Hollywood career of a language creator named David Peterson. Back in 2009, Peterson won a contest to create a fictional language for the show called “Dothraki.” Since then, he’s been hired to create a second language for “Game of Thrones” called High Valyrian, languages for the CW show “The 100” and the Netflix movie “Bright.” He’s become the go-to language guy in Hollywood. 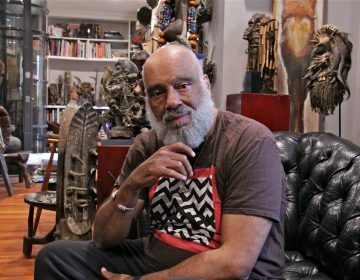 Marketplace caught up with him at his home in Orange County, California. I started creating my very own language in my first linguistics class. If you want to create languages, linguistics helps, but it’s not all you’re going to need. Language creation is an art form, and linguistics is a science. You can learn the principles behind it, but that will really only teach you to create a functional language, not a good one. When I was creating both Dothraki and High Valyrian, there were little bits of language that George R.R. Martin included in his book, a few for Dothraki, including a couple of full phrases and then really just two for High Valyrian, just the phrases, “Valar morghulis” and “Valar dohaeris,” and then like a stray word here or there. My job was to take everything that George R.R. Martin had created and use that as my starting point, building off of it after that to make sure that everything that I created fit with his original vision and to make sure that everything that was in the book still counted as grammatical once I was done. Most of the time, the actors on all the various shows and films I work on get the pronunciation and the delivery of their lines pretty good. Sometimes it’s excellent, which is great. And then every so often it’s absolutely abysmal, and I just roll my eyes, but it’s like, that’s show biz. You just kind of have to roll with it. 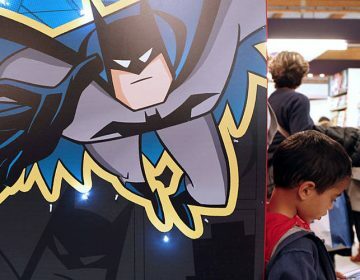 For eight decades, the Caped Crusader has kept watch over the streets of Gotham City and beyond. In honor of the Dark Knight, Marketplace does the numbers. 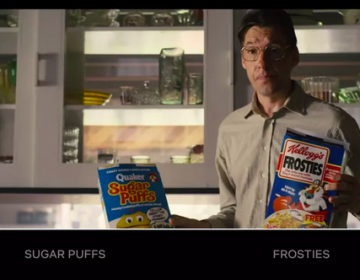 The December 2018 premiere of Netflix’s “Black Mirror: Bandersnatch” offered consumers a new way to influence the entertainment they’re watching.